**He ranked seventh in the NL for RBI ratio (At-bats per RBI) in 2006. **He hit 25 home runs and drove in 95 runs last year despite 100 fewer at-bats than the previous season. **He was eighth in the NL last year in go-ahead RBI, 29. That was only five fewer than Albert Pujols and four fewer than Ryan Howard. **When opposing pitchers walked Ryan Howard in front of him, he hit .471. **Among the Elias Sports Bureau rankings of first basemen-outfielders for Class A, B, C players as it relates to free agency, he ranked sixth out of 115 in the NL after the 2006 season. **Critics point to his .222 average with runners in scoring position last season; however, in 2005, his RISP average was .313. **Over the past three seasons, he’s averaged 28.3 home runs and 98.6 RBI. Say hello to Pat Burrell. Why is a batted ball that hits the foul pole called a fair ball? Why is it called a sacrifice hit in the rule book when it really is a sacrifice bunt? Which takes longer, the NHL playoffs, NBA playoffs or peeling paint? Why is a runner called out for running inside the baseline to reach the first base bag that is inside the baseline? How do so many football players get to be 300-pounders? Why do football coaches have bodyguards? The NFL has weekly injury reports. When will they start issuing weekly police reports? Why do the TV announcers talk so much? Will the designated hitter ever be tossed out of baseball? Why do hot dogs taste better at a ballpark? Who started keeping track of pitch counts and why? Why would anyone read this? “I’m dreaming of a white Christmas…”. What’s that? Trash the musical notes? You prefer baseball notes? Well, OK.
YOUNG ARMS: Why have the Phillies traded Daniel Haigwood and Gio Gonzalez, two young lefties that got a year ago from the White Sox? At the winter meetings last year, the Phillies moved up in the Rule 5 draft in an effort to claim lefty reliever Fabio Castro from the White Sox. Texas, instead, grabbed Castro with an earlier pick and then asked waivers during the season. The Phillies worked out a deal with the Rangers, sending Haigwood to Texas for Castro. Castro, 21, did well out of the pen after joining the Phillies despite his inexperience. He has a high ceiling. He is closer to the big leagues than Haigwood or Gonzalez. Some believe the latter is 2-3 years away from the majors. To obtain a quality starter like Freddie Garcia, you have to give up something good. Plus, the Phillies feel they have other lefties coming in J. A. Happ, Matt Maloney, Joshua Outman, Daniel Bauer and Derek Griffith. NUMBERS: Phillies’ $24 million contract with Adam Eaton raised some eyebrows among some clubs and some members of the media. Eaton has a 54-45 career record which is similar to other free agents who got big bucks, Ted Lilly (59-58, $40 million), Gil Meche (55-44, $55 million) and Jason Marquis (56-52, a reported $21 million). Did somebody say it pays to be a pitcher? 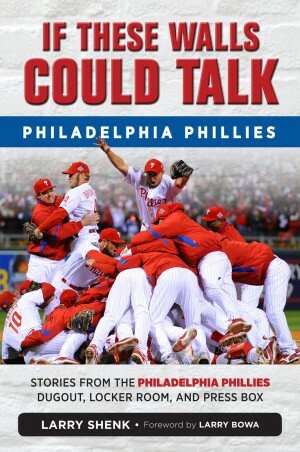 QUOTE: “They’re (the Phillies) good. 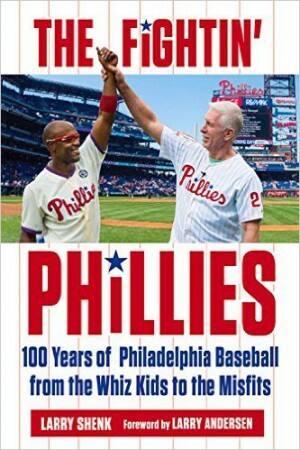 Any team that has Ryan Howard, Chase Utley, Brett Myers and Cole Hamels is going to be good. They’ve got a bunch of games over there,” Mets’ GM Omar Minaya told ESPN.com’s Jason Stark. SORRY: Most sought after Phillie in the trade market has been Cole Hamels. Response was easy, sorry. RULE 5 DRAFT: Phillies took three, RHP Alfredo Simon, RHP Jim Warden and C Ryan Budde (no relation to ex-Eagles coach Buddy Ryan). When building the Blue Jays in the 1970s, Pat Gillick was able to pluck three plumbs from this annual winter draft, OF George Bell, 3B Kelly Gruber and 1B-OF Willie Upshaw. The Phillies got their ace starter Wednesday night when they acquired 17-game winner Freddie Garcia from the Chicago Whites Sox. For details and Garcia’s career record, check Ken Mandel’s story on this site. It was the first major trade of the winter meetings that wind down with the Rule 5 draft at 9 o’clock Thursday. As any fan knows, making trades is easy. Team A needs this and we have X. Make the deal! Very rarely is that easy. Pat Gillick assigns different teams to Ruben Amaro, Mike Arbuckle, Gordon Lakey, Charley Kerfeld, Dallas Green and himself. They then roam the Rotunda Lobby looking for contacts from those teams. Cell phone calls also enter the picture. At different times of the day, Gillick has a meeting in the Phillies suite to be briefed. Arbuckle had the White Sox and picked up a tip that they would consider moving Garcia. Names are exchanged and eventually, the deal rests in the laps of the two GMs, Gillick and Ken Williams. Once they agree, the process shifts to notifying the players involved. Sometimes that takes time trying to track down the players. Once that has been done, PR personnel from the two teams decide when to make the announcement. The clearance last night came around 9:50. We agreed on a 10:30 announcement in the interview room which also serves as a work room for the writers. Over 400 members of the media are registered this week at the Walt Disney World Dolphin Hotel. With Gillick battling laryngitis, Arbuckle got to comment on the trade from the podium and answer questions. Williams was there from the White Sox. Amaro did a live XM radio interview after the press conference and Charlie Manuel did the same with MLB.com. Arbuckle added a couple of telephone taped interviews with radio and TV. Back in the suite, a new team calls at 11:29 p.m. looking for Gillick. The process starts all over. It may lead to another deal or it may lead to a dead end road. Focus for the Phillies now shifts to adding some depth to the back end of the bullpen and a catcher. Spring training doesn’t begin until February 15, so there is no immediate deadline. ORLANDO–It is not a secret that the Phillies have a shopping list as baseball’s annual Winter Meetings get underway in Orlando’s Disney World. Ken Mandell has documented the needs on phillies.com in his two Winter Meetings stories. Some Phillies fans have gotten antsy because their favorite team hasn’t dumped big bucks on some player. In the NL East, only the Phillies have had much action, re-signing LHP Jamie Moyer and signing two free agents, 3B Wes Helms and RHP Adam Eaton. The moves leave the Phillies with a solid five-man rotation and more offense at third base. Perhaps not a big splash but little steps many times lead to something bigger. College football is heading into the bowl season. Baseball’s winter meetings might be called the Boras Bowl, as in agent Scott Boras. His stable includes Daisuke Matasuzaka, the Japanese RHP for whom the Red Sox bid $51.1 million for the rights to talk contract; LHP Barry Zito, the best starter among free agents; OF J. D. Drew and RH reliever Eric Gagne, who was limited to two games and two innings in 2006 because of injuries. According to one internet story, Gagne is looking for $10 million for one year. This city was the site of the 1978 Winter Meetings. The Phillies stole the thunder at those meetings by signing free agent Pete Rose to the largest contract, over $3 million for four years. How the times have changed.